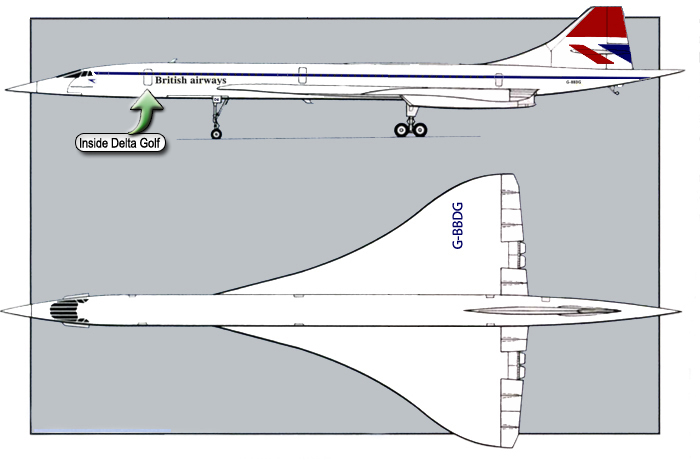 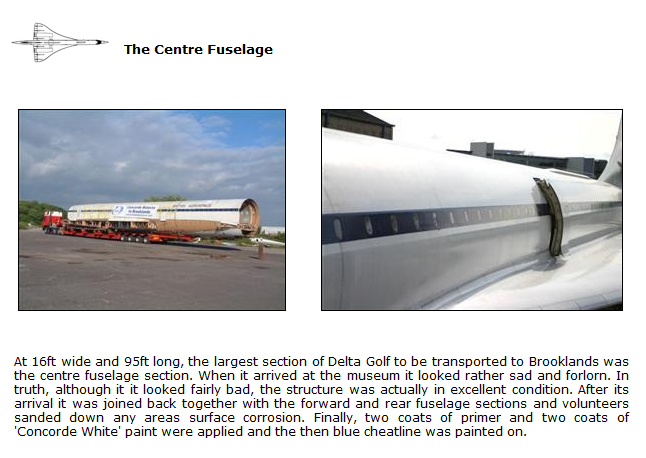 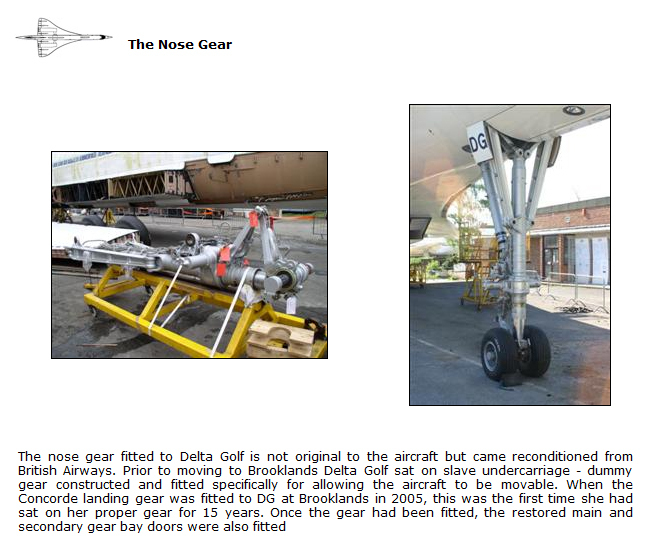 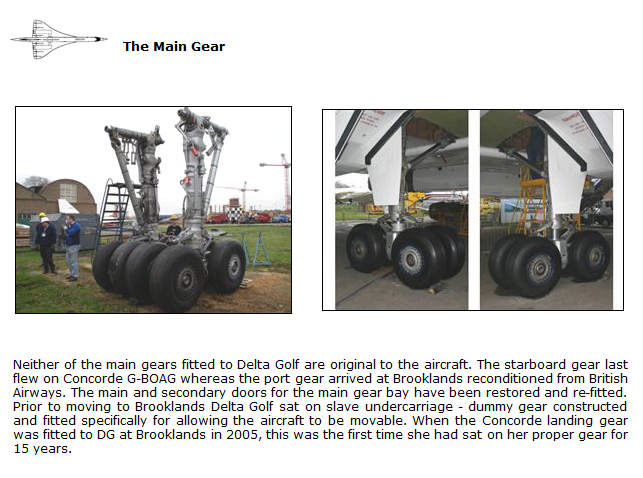 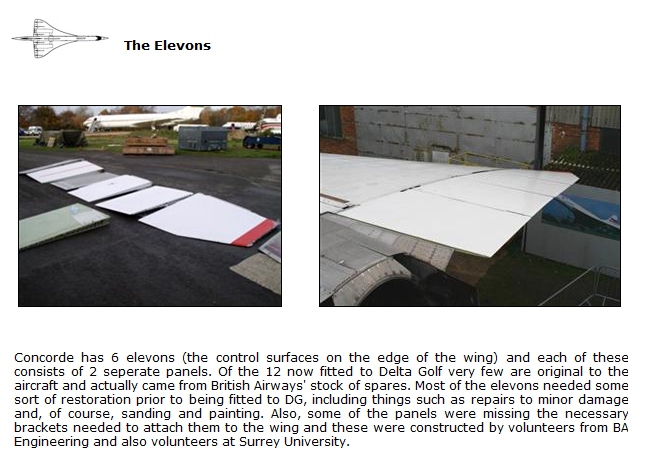 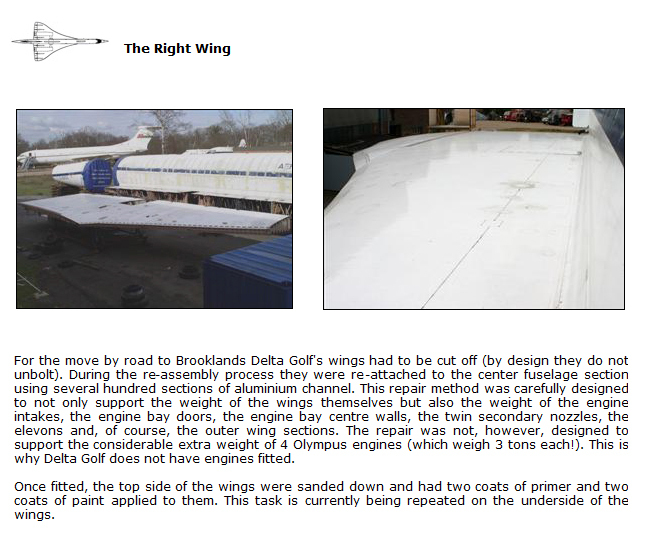 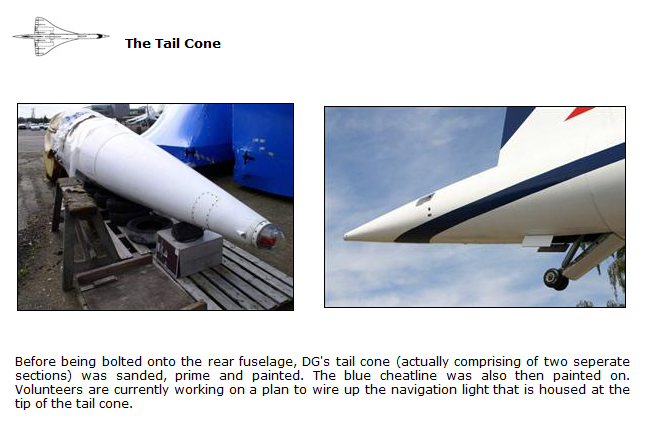 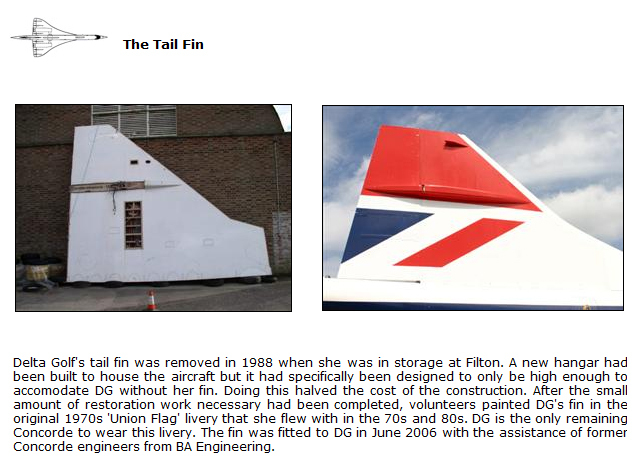 Concorde Delta Golf has come a long way since arriving at Brooklands Museum as a giant 'Airfix' kit back in 2004. 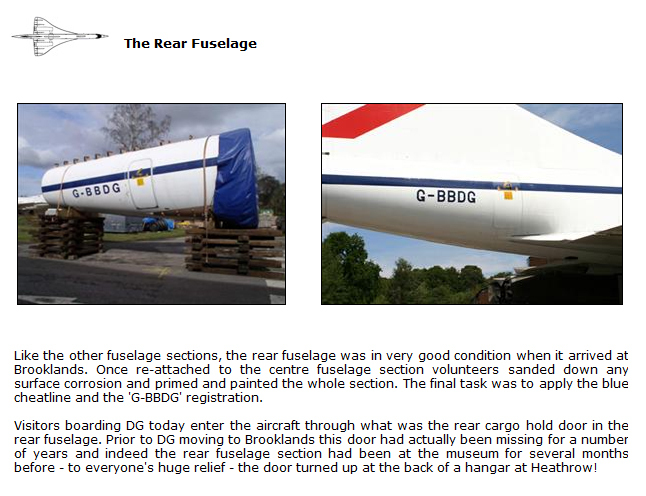 Thousands of hours of hard work from over a hundred volunteers have gone into restoring DG back to her former glory. 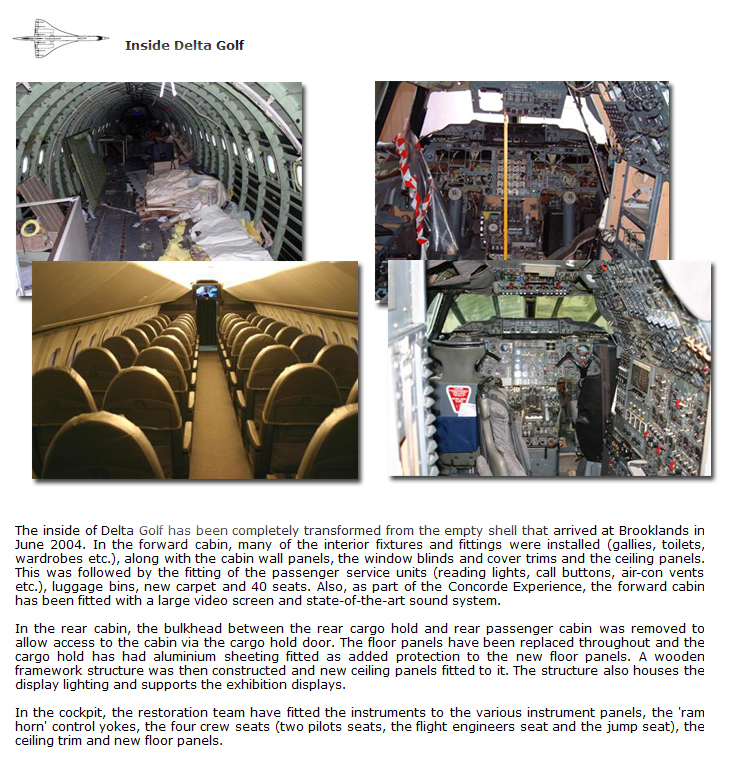 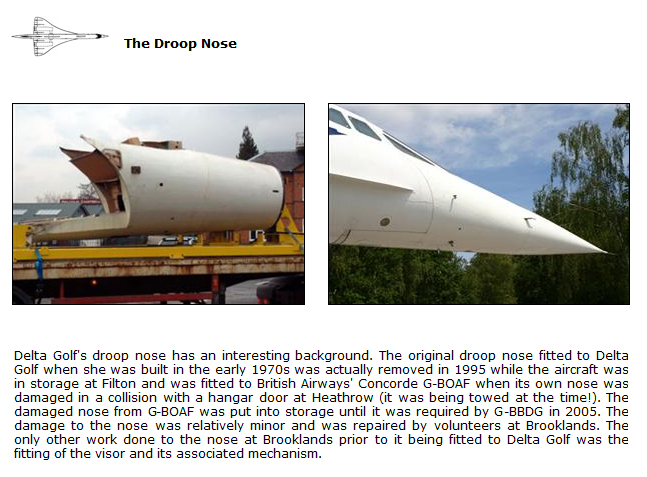 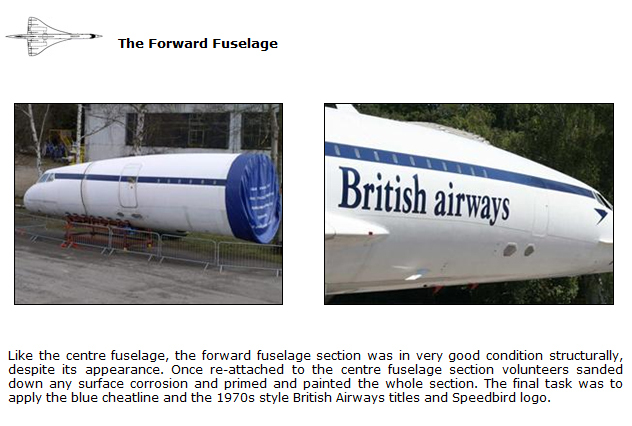 This page aims to illustrate the work that has been done and how much each section of the aircraft has changed in that time. 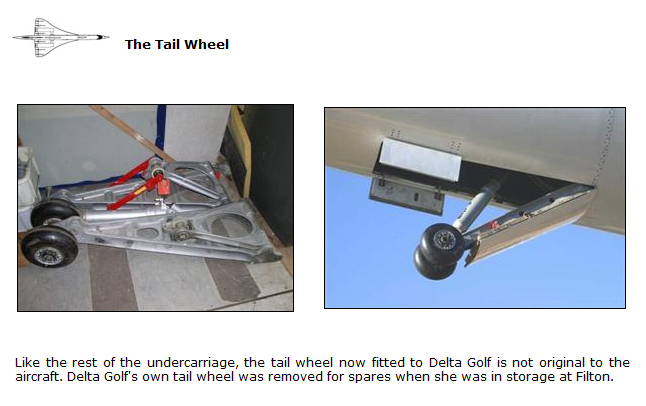 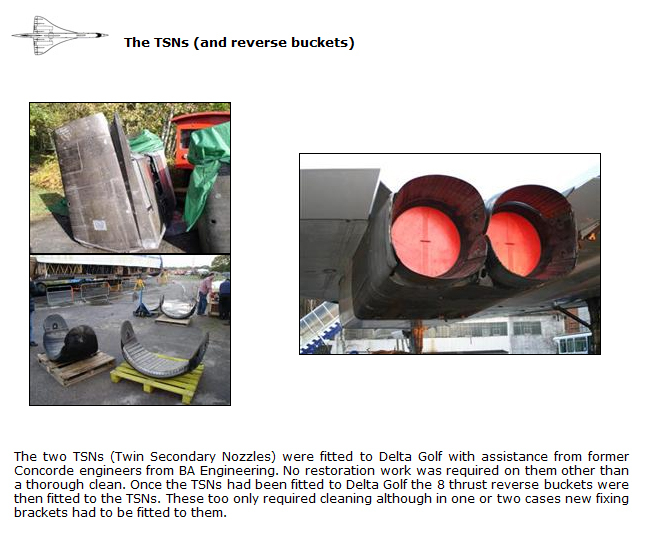 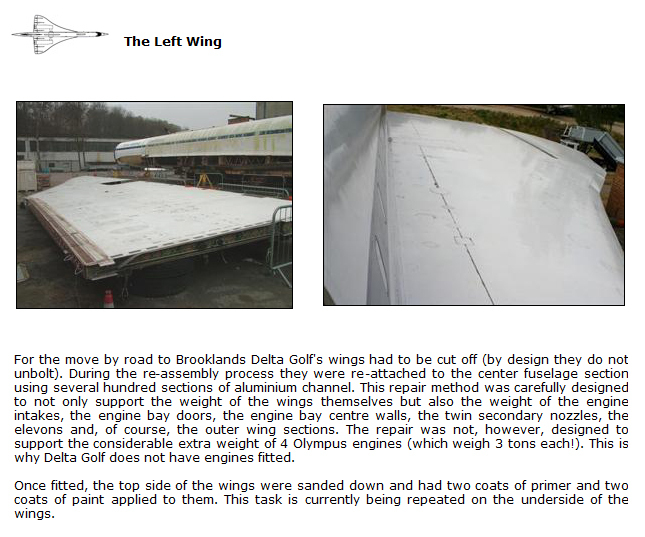 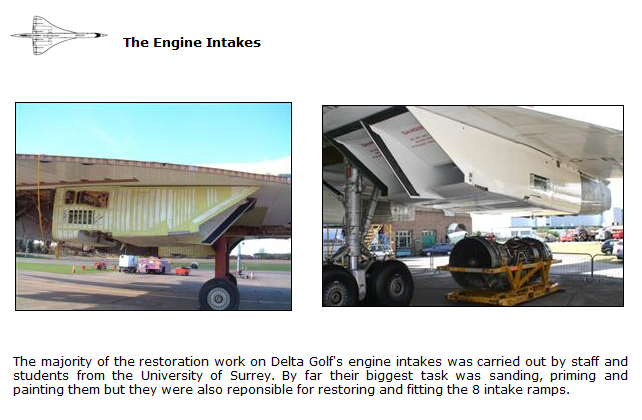 Click on any part of Delta Golf in the images below for information and photographs about the re-assembly and restoration of that particular part.